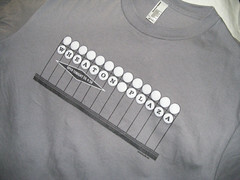 just up the pike: what's up the pike: not enough cake for wheaton? 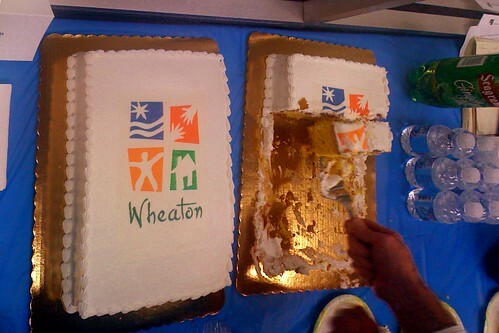 what's up the pike: not enough cake for wheaton? I feel guilty just throwing together a links post, particularly one of links about me. But this has been a trying few months - since January, I've gotten sick twice, my computer's hard drive failed, I just finished mid-terms and tonight, just so God can prove He still exists, my wireless router died. And tomorrow I'm going out of town for a week for a school trip. So, you know, I think a links post is warranted now. - I'm really proud to be from Maryland after yesterday, and I hope it all doesn't come undone in November. - I think County Executive Ike Leggett is doing a spectacular job trying to pit Wheaton and Bethesda against each other over what is admittedly a limited pool of county funds. And I generally agree with East County resident Cavan Wilk, who argues that we can give Bethesda a new Metro station entrance AND provide funds for redeveloping Wheaton, provided our priorities are in order. Hopefully, our county councilmembers feel the same way. With pressing needs addressed, Wheaton is doing just fine. Visit sometime, and you'll find that - by golly - they do have good restaurants. Some of the best chicken can be ordered in Wheaton, and many critics have said the best dim sum is at Wheaton Plaza's Hollywood East Cafe. Change will come to Wheaton, but let the market bring it, parcel by parcel. Dyer might be correct. 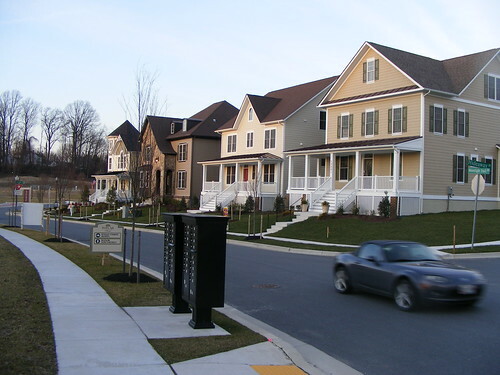 After all, developer JBG just got approval to build 1,500 new homes and 90,000 square feet of retail (that's about 1.5 times the size of a Giant supermarket) in Glenmont with no public funding, notes the Gazette. How can this happen when Ike Leggett insists we have to pay people to develop in Wheaton, which would arguably be a more attractive place to live/work/shop and, thus, a more profitable area to build? Or is it just a matter of reducing barriers that have prevented development from occuring there in the past? If Montgomery County can find $40 million to spend on Wheaton, I'm all for it. But I'm not convinced they're going to the right place. - My post about Takoma Park progressives impeding actual progress has gotten a lot of attention. The city administration wasn't too happy about it. I heard from a few city officials, including Councilmembers Seth Grimes and Tim Male, who wrote a whole post on GGW outlining "progressive" things the City of Takoma Park supports, like the Takoma-Langley Crossroads Sector Plan the MoCo Planning Department is working on, and The New Ave, which I've written about (and positively!) several times in recent years. Takoma’s residents oppose developments that should align with their ideological views because opposition to development is not about ideology at all. Instead, it is a matter of economic self-interest. Incumbent homeowners get together like a cartel and use their political power to prevent the creation of new housing units. This makes housing units more scarce and more expensive, enriching those who already own them. Your local block association might seem friendly, but its members are really no better than OPEC. Let's be clear: I don't think Takoma Park residents, city employees, or elected officials bear any resemblance to OPEC. I don't want to cause any more trouble than I've already started. Is this Kentlands? No, this is Poplar Run, the big new planned community going up at the former Indian Spring Country Club in Layhill. I need to write about this one day, now that I've been there. 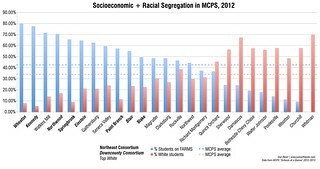 Here's another one-part-of-the-county-vs-another part issue to think about. Why are the Purple Line planners not willing to preserve the trail in the tunnel and put the Purple Line on the surface across Wisconsin Avenue in Bethesda while they are apparently willing to put it on the surface across Connecticut Avenue -- they are studying not building the bridge over Connecticut Avenue to save money -- and while they are definitely planning to put it on the surface across Georgia Avenue in Silver Spring. Apparently their priorities are: don't make things worse for automobile commuters on Wisconsin Avenue in Bethesda, perhaps make things worse for automobile commuters on Connecticut Avenue, and definitely mess up traffic on Georgia Avenue in downtown Silver Spring. Georgia could use auto traffic messed up a little bit. It's 7-lanes wides at certain points (maybe more?). That's ridiculous. As a DTSS resident, I hope the Purple Line calms some traffic. Robert brings up exactly what the problem is. Bethesda is a bigger priorty for the county than Silver Spring or Wheaton. Robert Dyer writes that we should basically sit back on Wheaton and let the market bring change. That sounds fine, until you read further on his blog and realize that his sentiments ring hollow, because he certainly does not want to sit back and allow the same kind of market forces to affect Bethesda. He clearly advocates for many projects that would funnel more county funds to Bethesda. (deviating slightly from previous comments) Were considering the Poplar Run homes...ended up buying a place very close to that development. The Layhill area leaves a bit to be desired in terms of amenities, but I'm (cautiously) optimistic that Poplar will bring with it a healthy dose of commercial development. That combined with the ICC could make for some serious and needed change in that area. Btw, just discovered this blog...haven't explored too deeply but love there exists a blog about MoCo :) Keep it comin'!